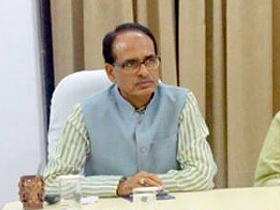 Chief Minister Shri Shivraj Singh Chouhan performed Ma Narmada’s aarti along with his wife Smt. Sadhana Singh at Semalda bank in Dhar district. 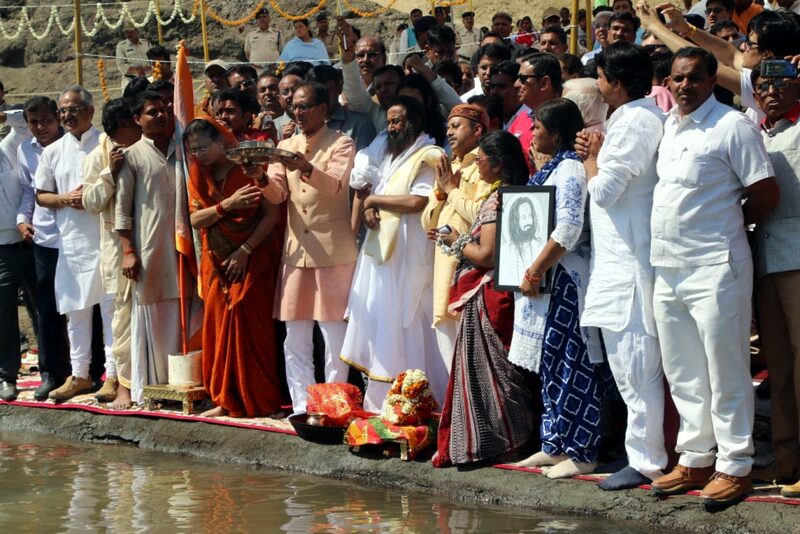 Well-known saint and Founder of Art of Living Sri Sri Ravishankar was also present. 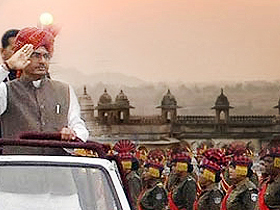 The Chief Minister raised Ma Narmada’s slogans with the devotees after the aarti. Chief Minister Shri Chouhan offered prayers at the Ma Narmada temple accompanied by his wife and prayed for peace and prosperity of the state. He also took part in a symbolic tree plantation programme held at the temple premises. Former Minister and MLA Smt. Ranjana Baghel, Jan Abhiyan Parishad Vice Chairman Shri Pradeep Pandey, former MP Shri Chatarsingh Darbar besides a large number of Narmada devotees accompanied him.